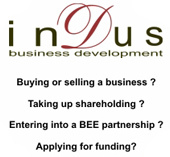 Indus Consulting (Pty) Ltd is a specialist business development hub, focusing on business and franchise development and project implementation. 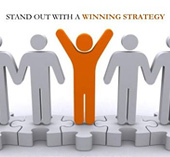 Our brand and operational strategies are result driven, and supported by innovative and creative consulting process. We have a network of specialist associate consultants and service providers, enabling cost effective and innovative solutions. Our consultants work with businesses that experience growth challenges. We understand the unique challenges of being an entrepreneur, and have helped struggling businesses turn around successfully. 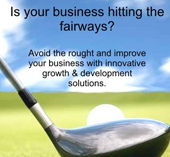 Whether you are struggling to break-even, want to grow or franchise your business, our specialist focus on business development strategies will help you increase profits, gain market share and achieve your long term business goals. Our client companies are primarily small to medium sized business (family owned businesses and entrepreneurial start-ups), as such our consulting approach addresses the operational concerns of growing businesses. Our consulting fee structure enables growing businesses access to consulting interventions, and there is a strong focus on implementation and results. Indus Consulting fully supports the business ethos and code of good business practice as laid down by FASA (Franchise Association of Southern Africa), and prides itself on the provision of consulting and related support services to entrepreneurs.